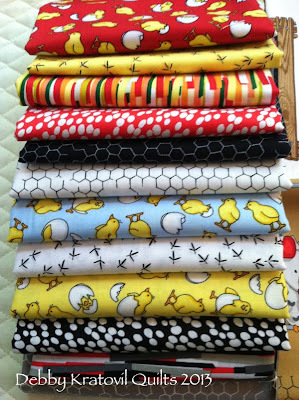 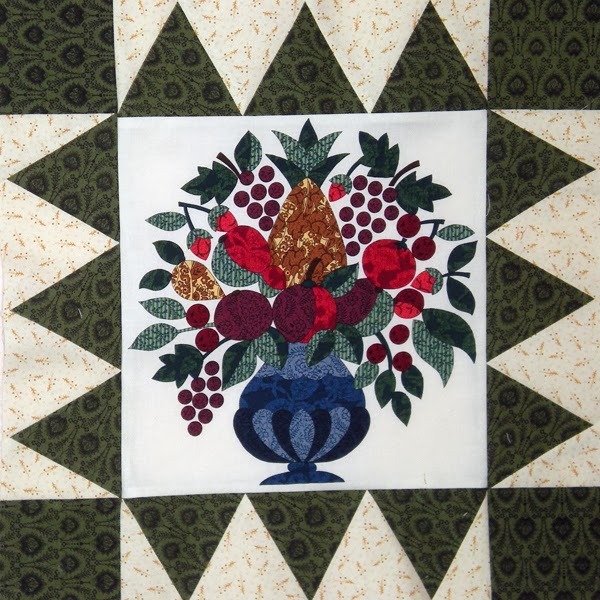 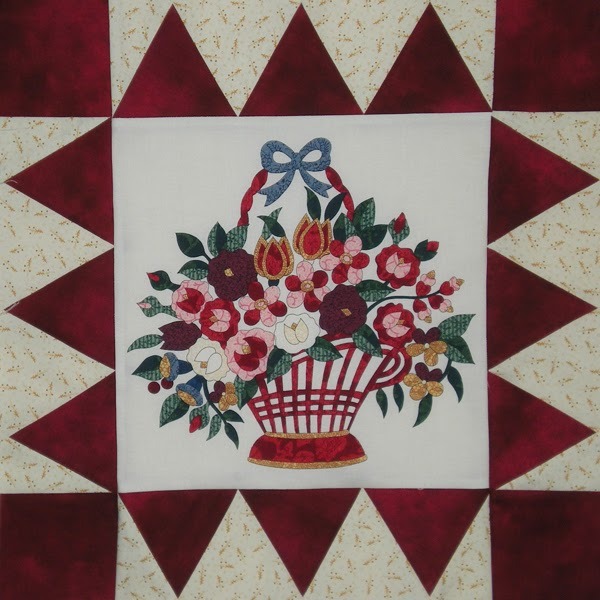 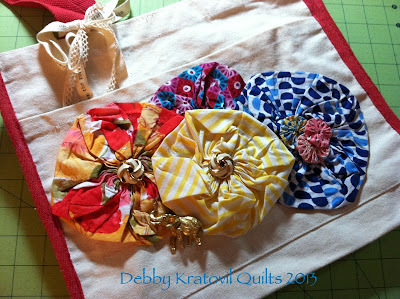 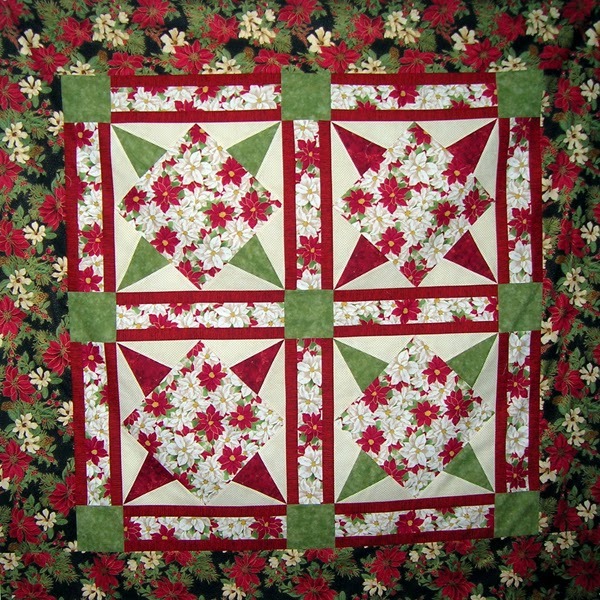 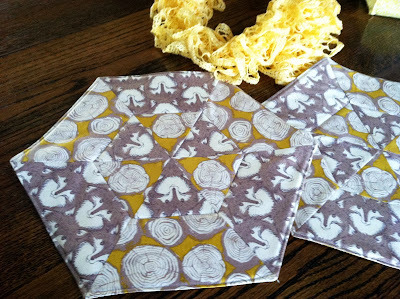 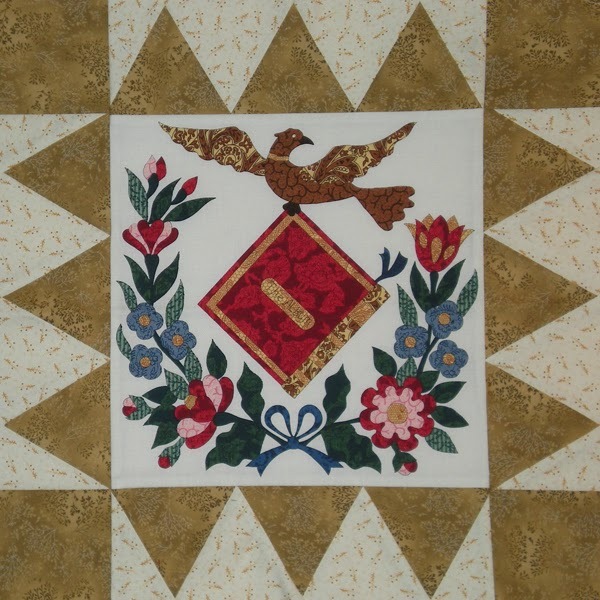 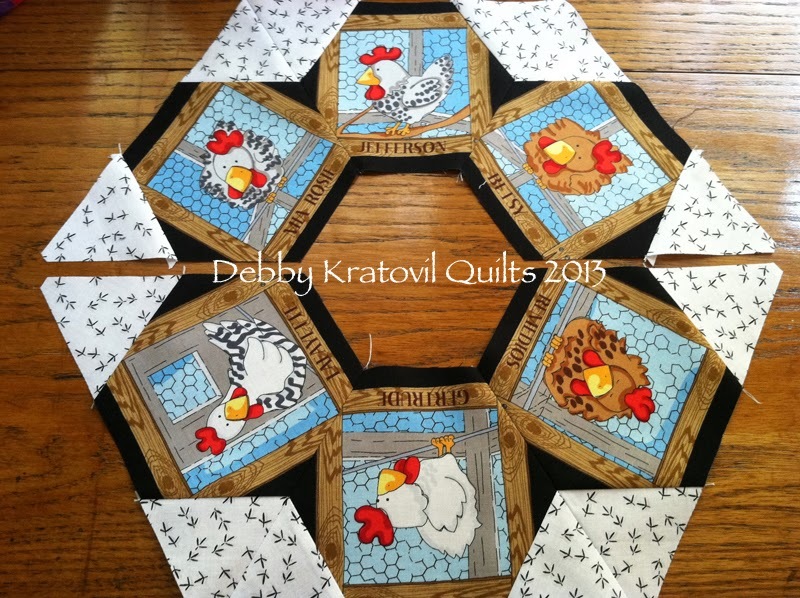 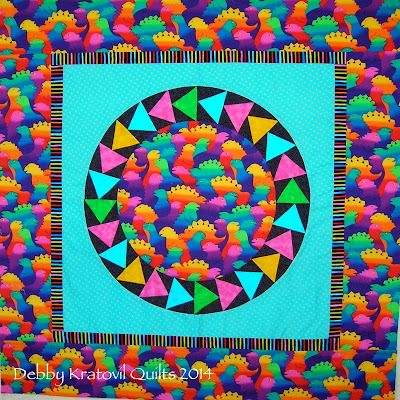 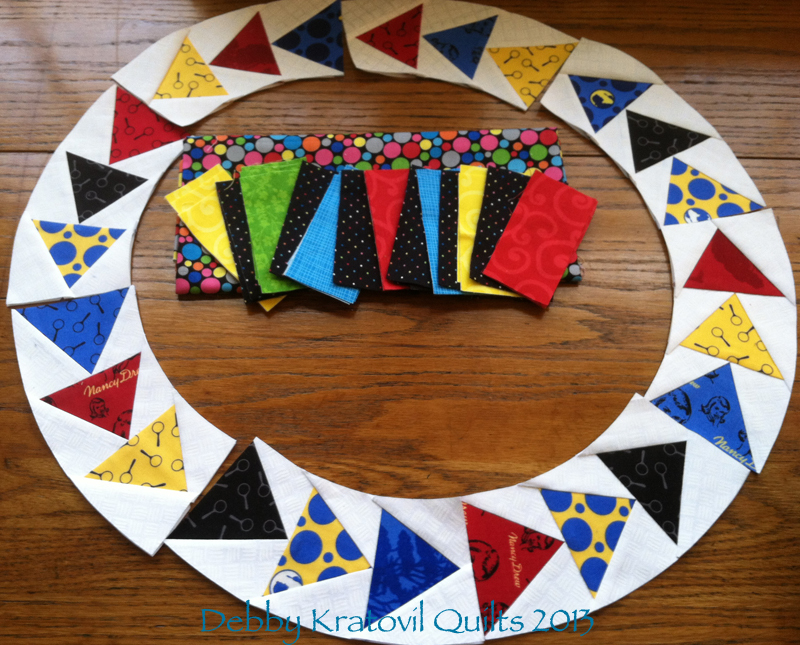 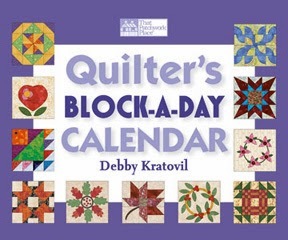 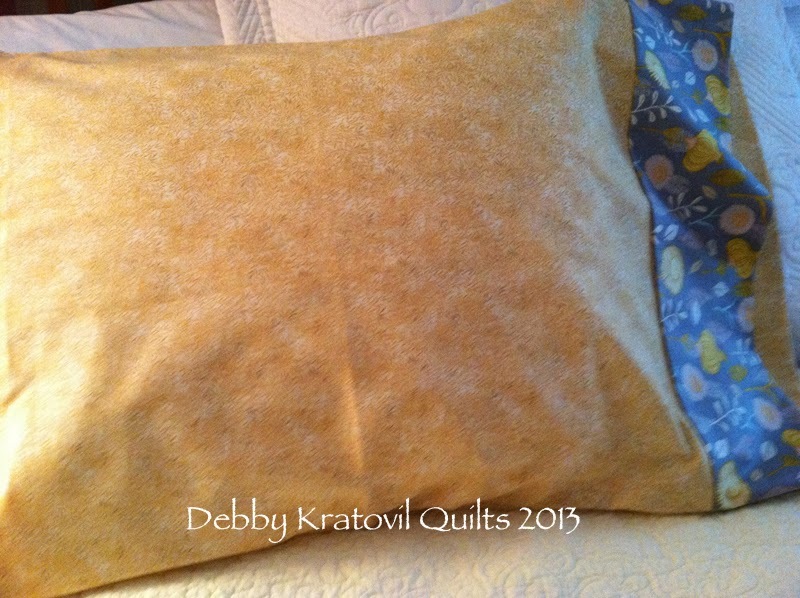 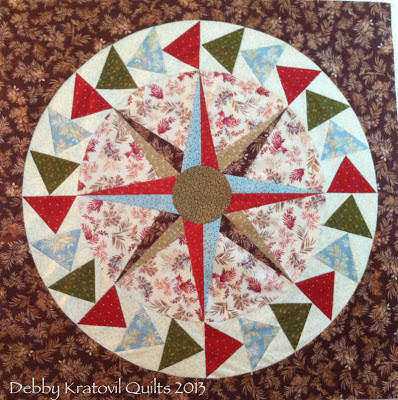 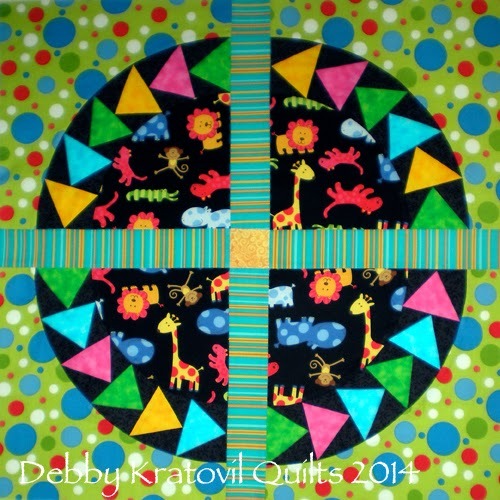 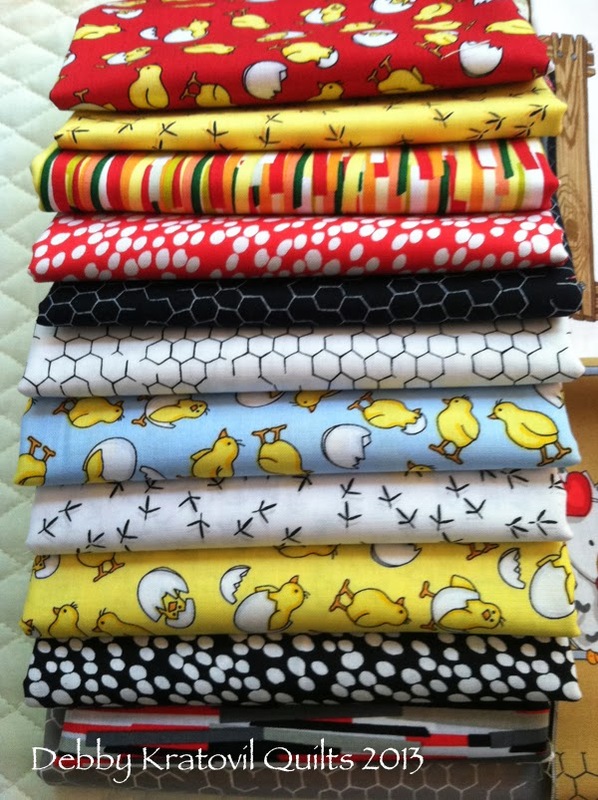 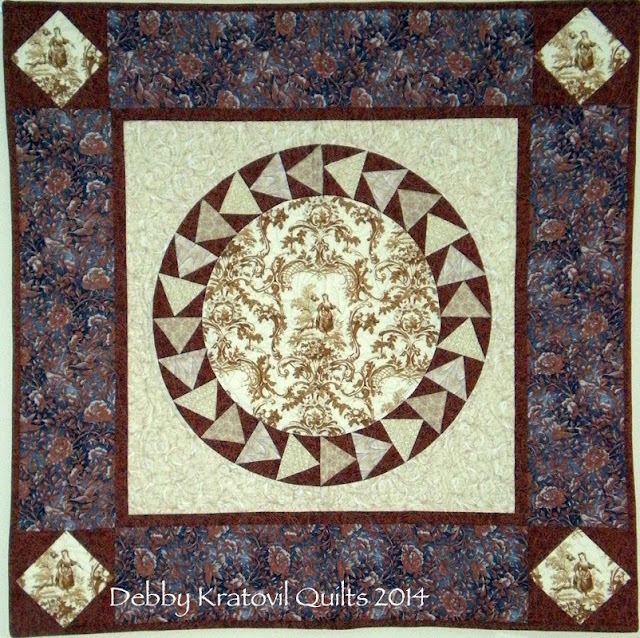 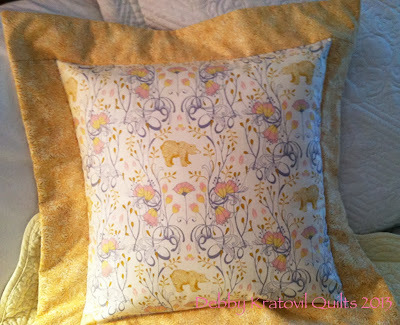 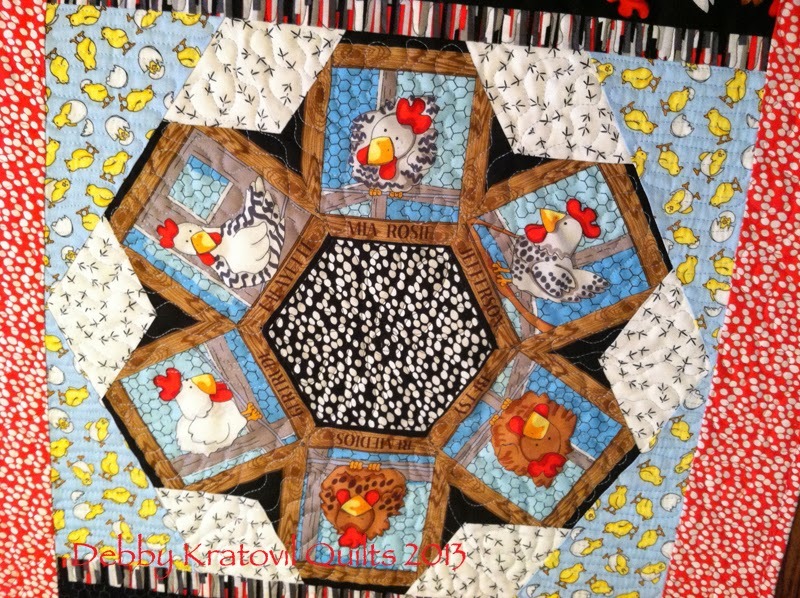 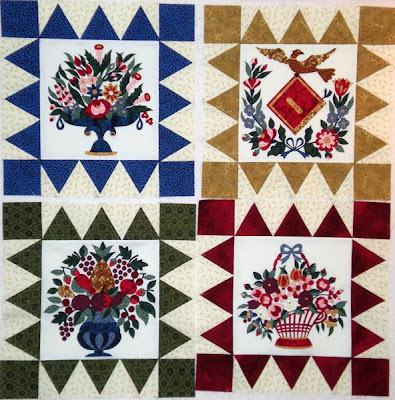 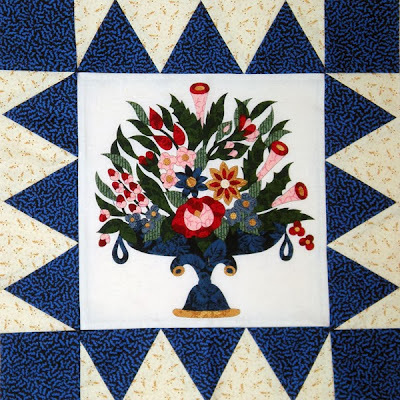 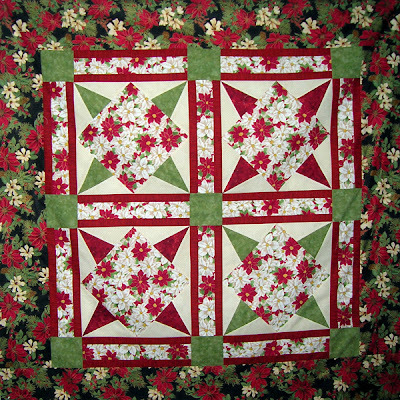 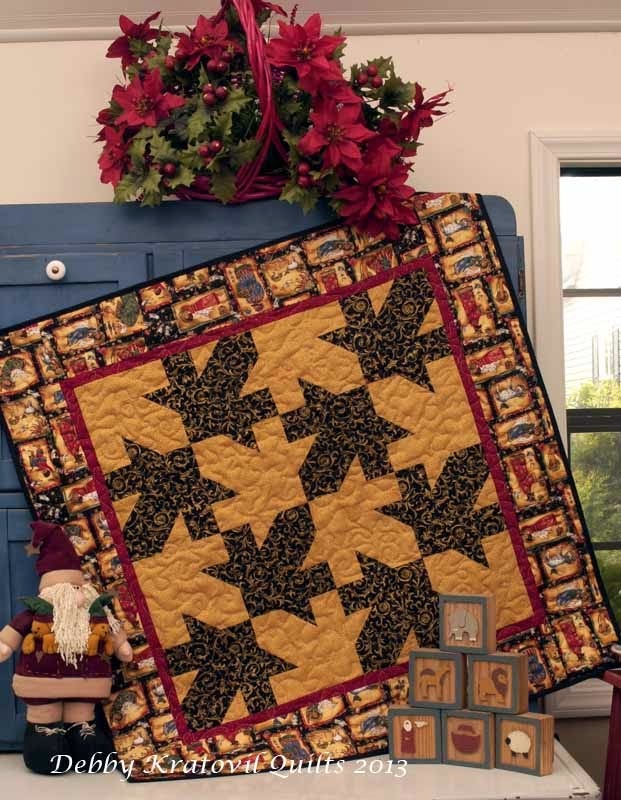 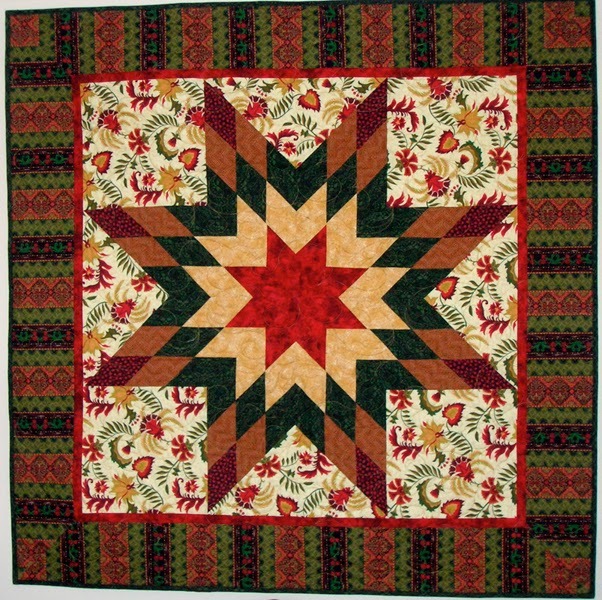 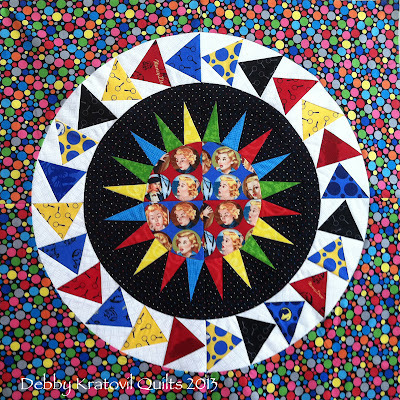 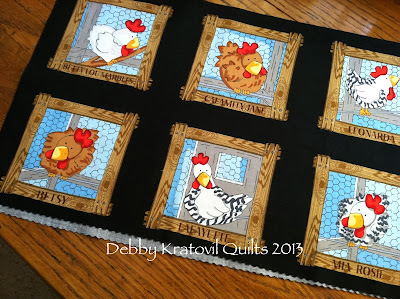 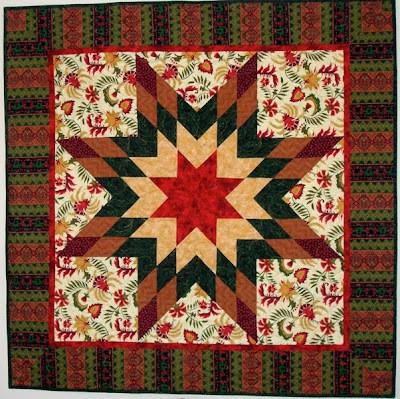 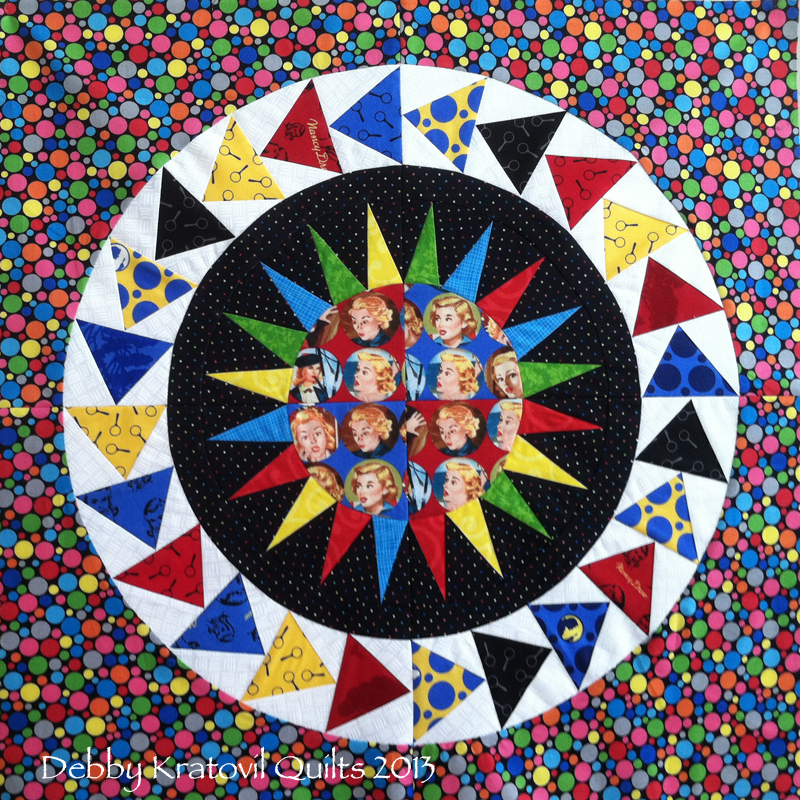 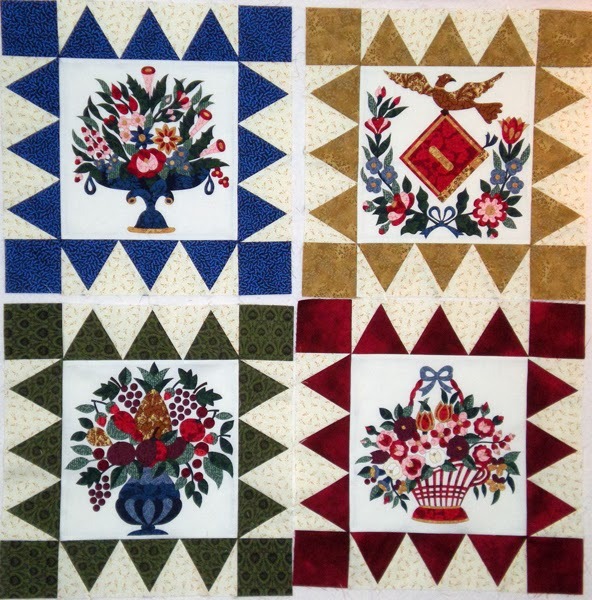 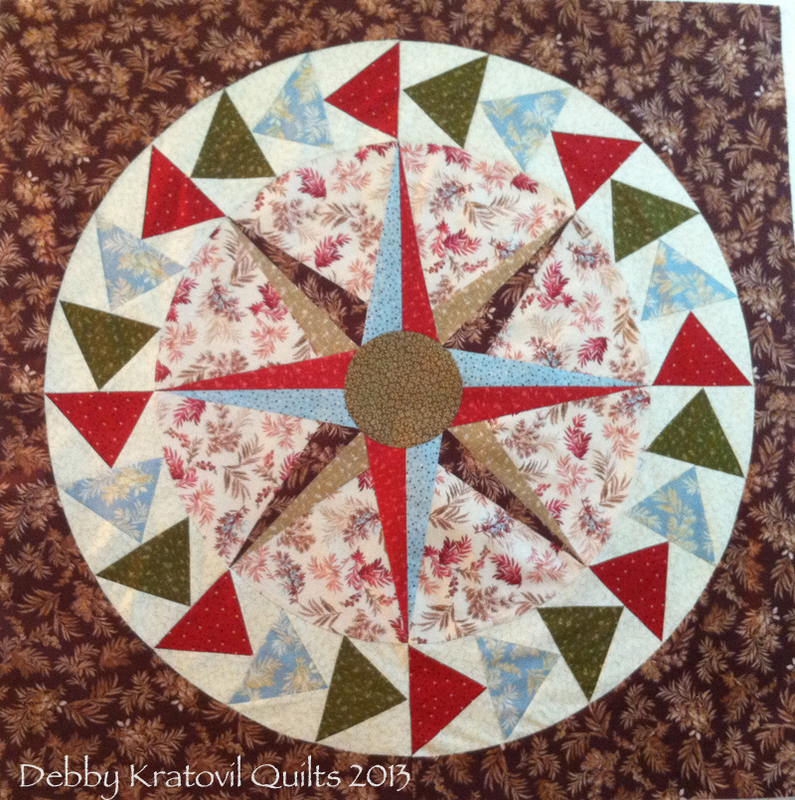 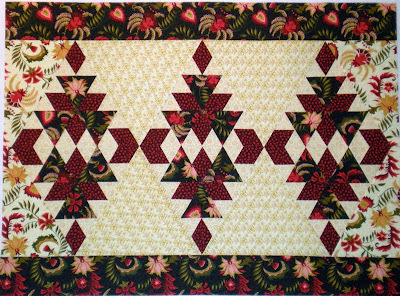 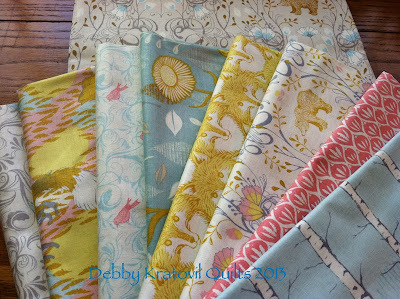 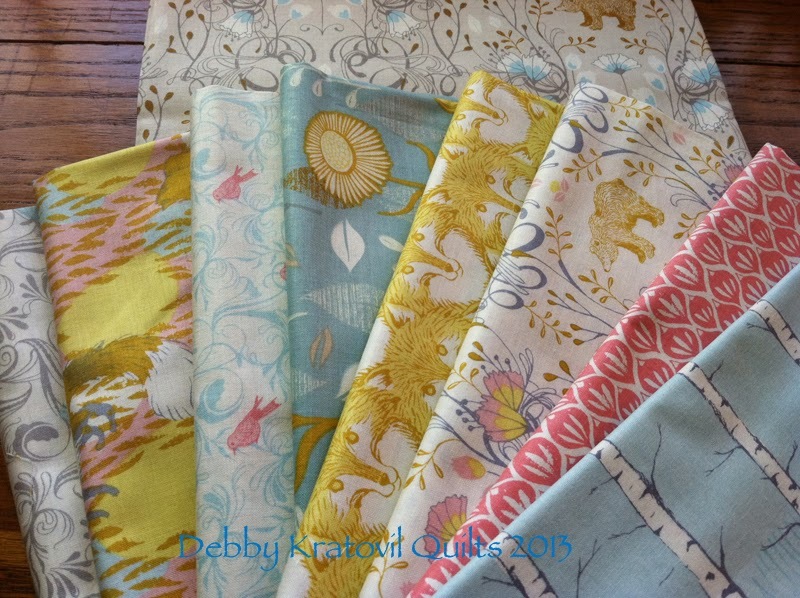 Contest is over and Joyce is my winner of the fat quarter bundle with 6 of the chicken panels. Congratulations, Joyce! 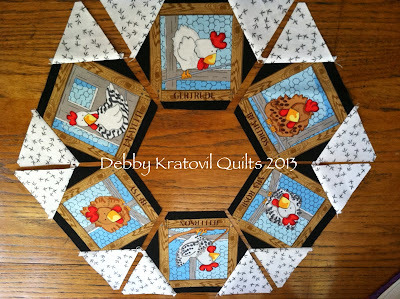 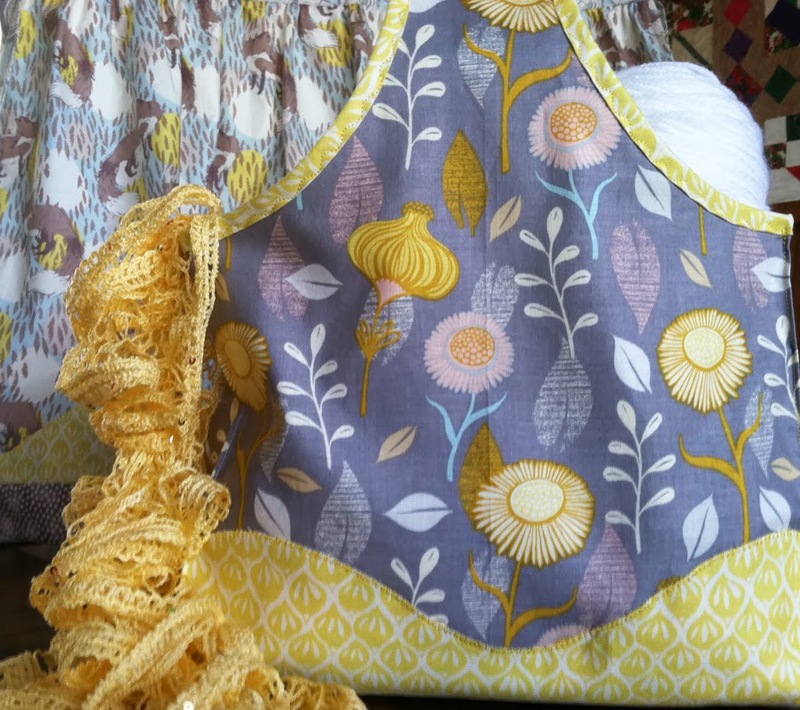 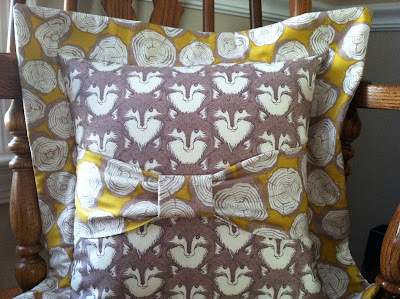 I get to rock out again in the hen house with the Fowl Play fabrics I used a few weeks ago in a tutorial for Benartex. These are just so much fun, as you can see in the stack above: little chicks, chicken wire, chicken scratching and BIG hens with names from REAL chickens from a REAL chicken farm. 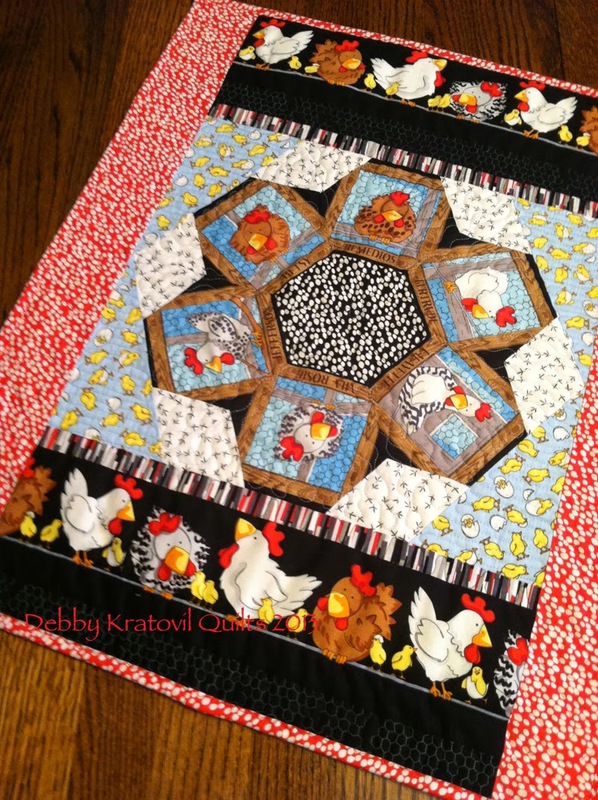 There's even a border print with chickens on a wire which I used at the top and bottom of this table runner. I wanted to revisit these fabulous chicken and rooster panels and do something very different. 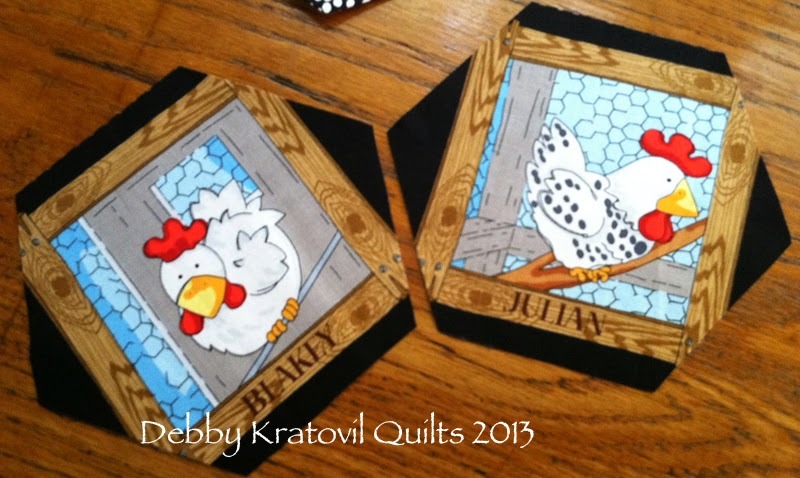 This time I chose those with the blue chicken wire backgrounds. 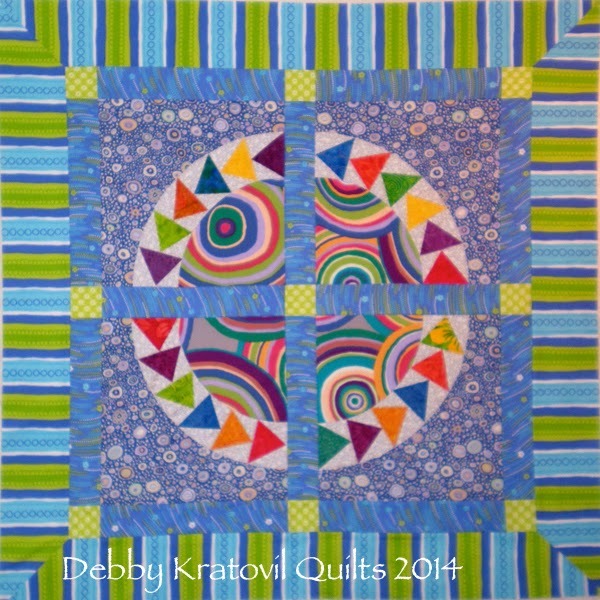 Then I did something radical (at least I think so). I ignored the square shape and cut them out using a hexagon shape! 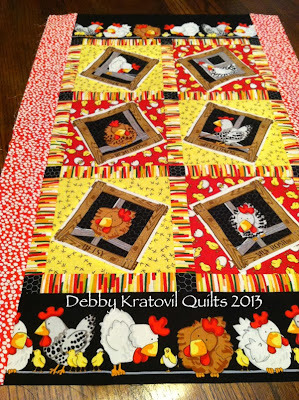 OK. What kind of crazy thing is she going to do now? 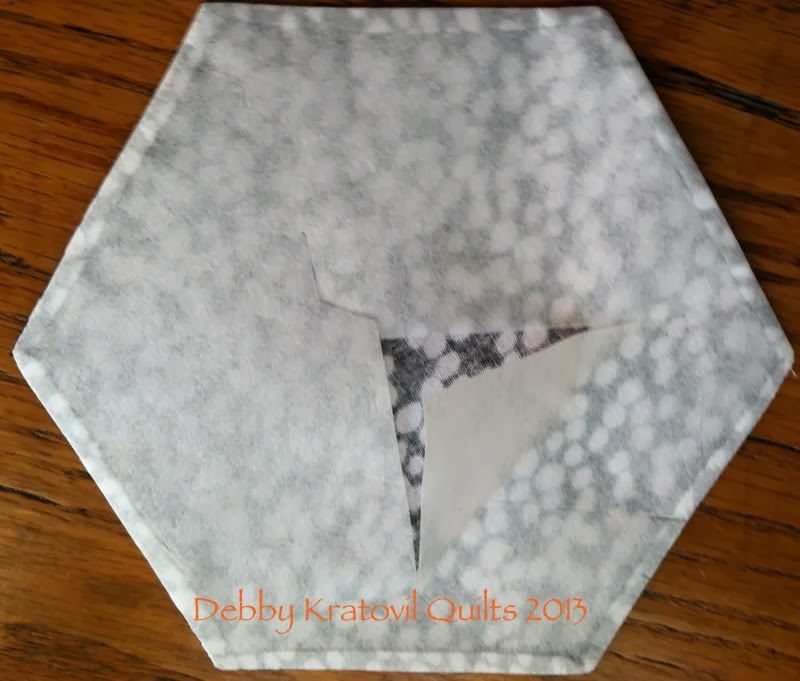 If you've been following this blog for any length of time you know that I am enamored with hexagons and putting them together into a variety of ways. I decided to put these together into a hexie ring. No y-seams; only straight seam sewing! 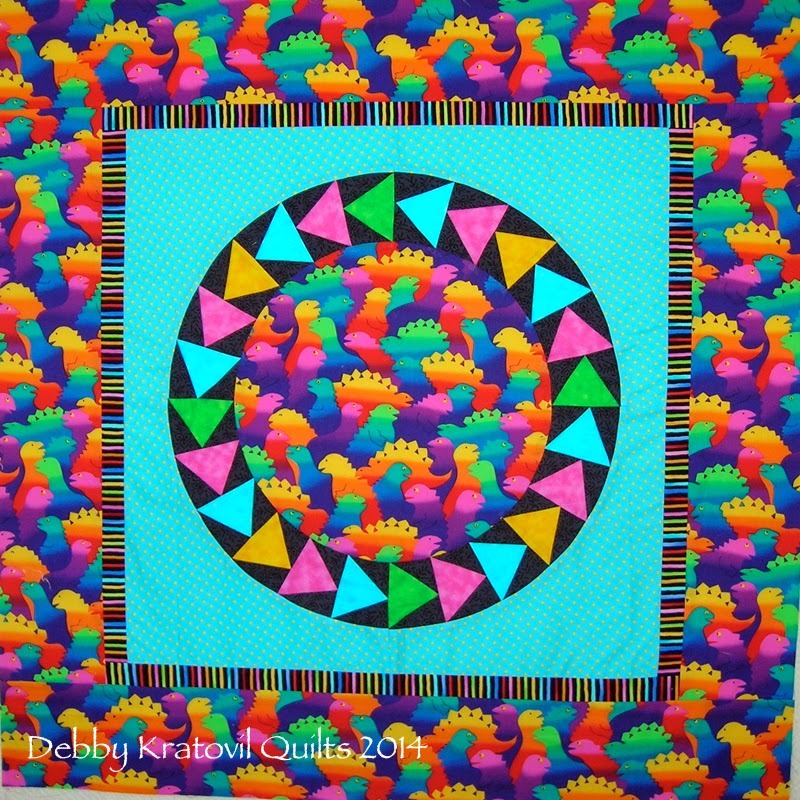 But there's a BIG HOLE in the center! Yes, there's a big hole in the center, right? 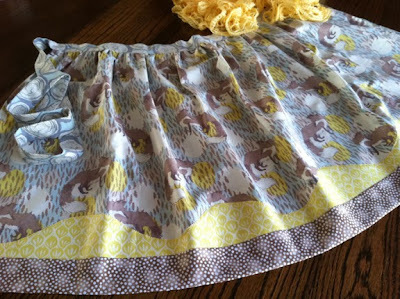 Time to cover it up. 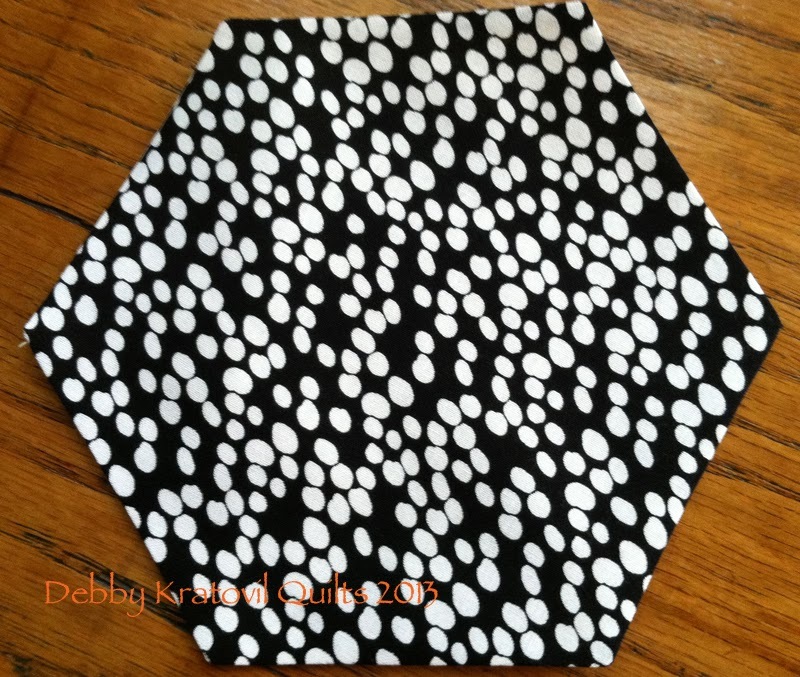 Cut out a hexagon, interfaced it, turned it right side out by clipping into the interfacing. 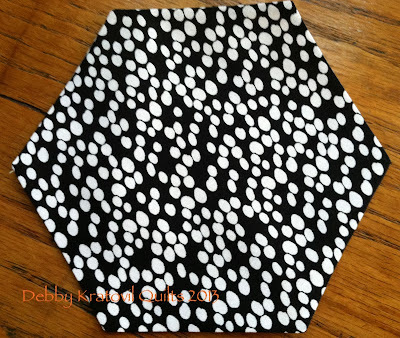 All edges of the hexagon neatly turned under without any hand applique! 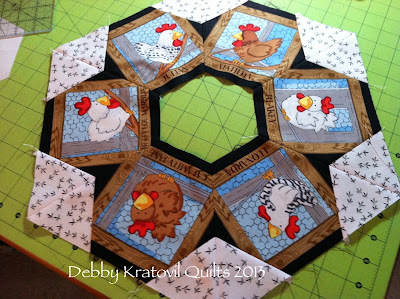 And now for the table topper, which I am gifting to my daughter Hilary's friend Anita who happens to have a fond affection for chickens. 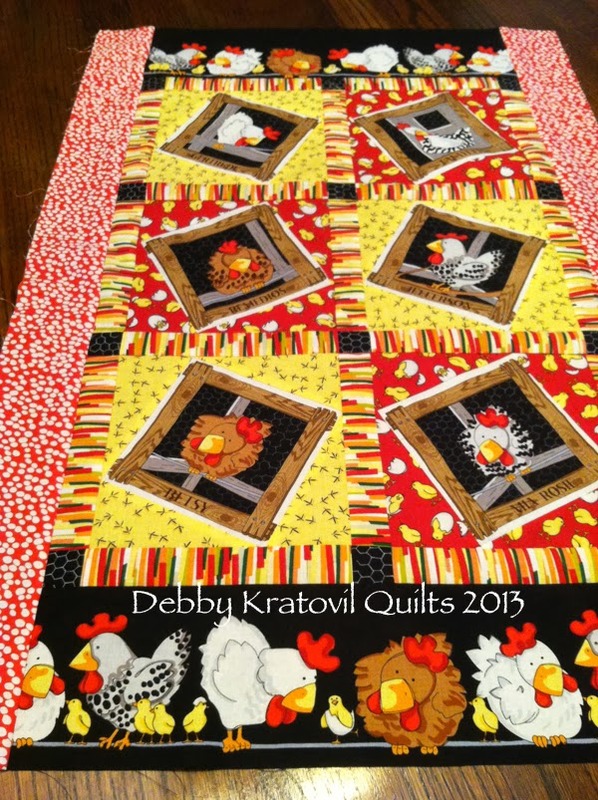 She actually was raising some in her back yard in Pittsburgh last year!